- 홍보단 행사에서 수령하실수 있습니다. ♥입금 후 이름, 전화번호, 주소, 수량을 적어서 prettyjun83@naver.com이나 인스타 DM 으로 꼭! 보내주세요. Hello to all you fans overseas. This is PRETTY BOY. 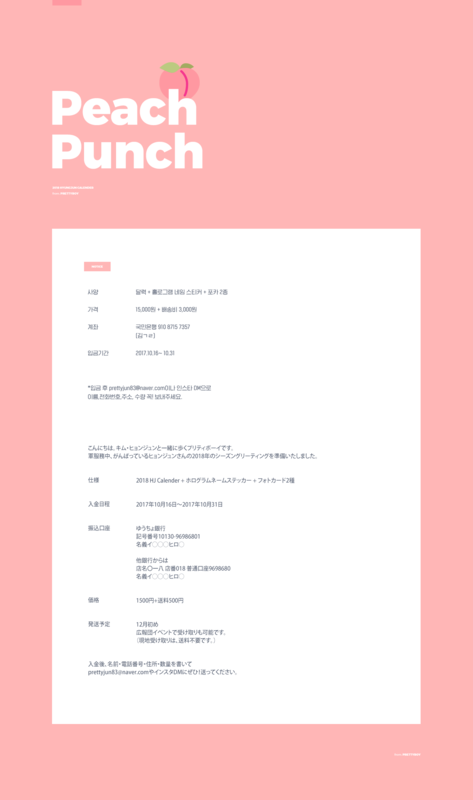 We are ready to accept orders of PRETTY BOY's 2018 Season Greeting. DM(instagram),because the EMS charge is different with each countries.Thank you. - or you can also get the goods at an event of police's specialpromotions unit in Korea. by E-mail(prettyjun83@naver.com) orDM(instagram) as well.